Gov. Dannel P. Malloy talks with East Hartford High School students Tuesday. A bill loosening high school graduation requirements is heading to Gov. Dannel P. Malloy’s desk. The House voted 148-0 Tuesday night to approve legislation to roll back stricter graduation requirements that have been delayed since receiving approval in 2010. The legislation has the backing of much of the education establishment, including the state’s education commissioner and the state associations that represent superintendents and principals. The bill, however, runs counter to a sweeping ruling by Superior Court Judge Thomas Moukawsher last fall on the constitutionality of the state’s school funding system. The judge ordered the state to bolster graduation requirements so students are no longer awarded diplomas but graduate “without the education we promise them.” The state is appealing Moukawsher’s ruling. Meg Green, a spokeswoman for the governor, said the bill is being reviewed by the governor’s office, but added that it is “the result of many years of collaboration” between state officials, legislators and those in the education field. 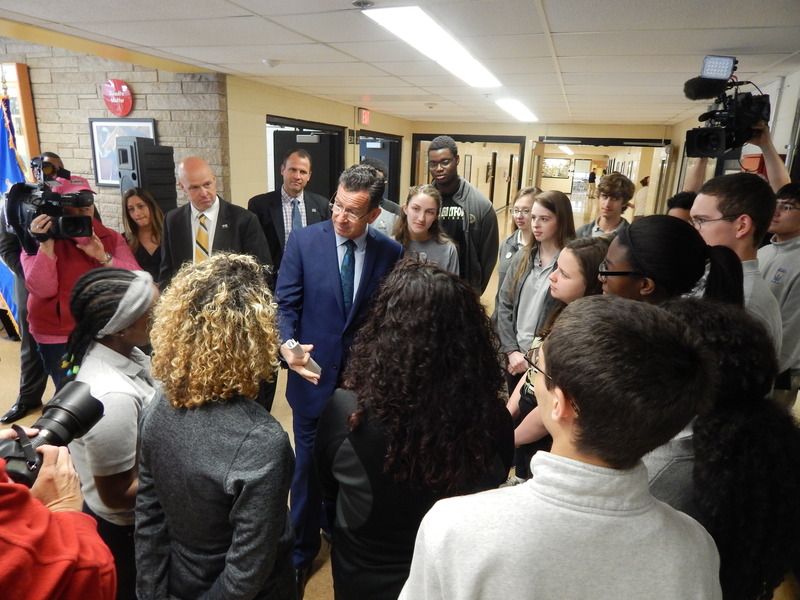 “The modernized graduation requirements will provide both districts and students a more personalized educational experience, while at the same time retaining our commitment to rigorous college-and-career ready academic standards,” Green said. Reporter Jacqueline Rabe Thomas contributed to this story.